If you have a small farm, you want to maximize value. Miniature cattle breeds can help a great deal. It’s important to consider choosing a cow from miniature cattle breeds instead of getting a full-size cow. It’s a nice option in these times of rising food prices and concerns regarding food quality. Many people raise miniature cows for meat. Others raise them solely for fresh dairy products.This usually means getting a milk cow. 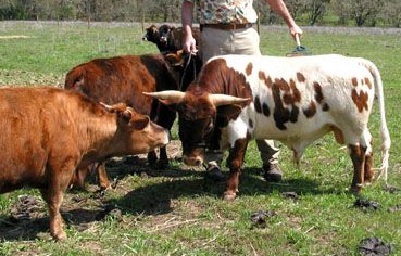 Many people consider miniature cattle breeds instead of smaller full-size cows. You will need less pasture and will have less milk to consume. For these people, small-breed cattle may be a more viable alternative, even though the miniature cow costs more initially. A good quality family milk cow may fetch a price in the $1,400 to $1,800 range. A small or miniature cow, on the other hand, can cost anywhere from $1,800 to $3,500. These miniature cows can be classified in categories that depend on their height at the hip. 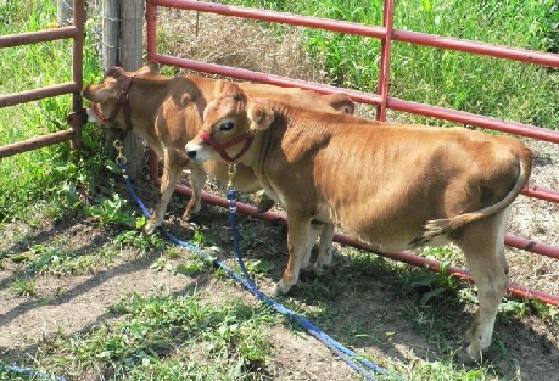 Midsize miniature cows measure from 42 to 48 inches at the hip. 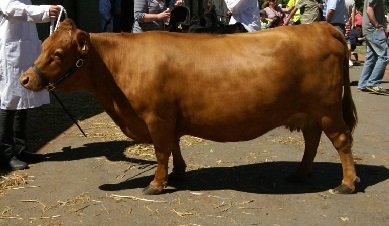 Standard miniature cows range from 36 to 42 inches. Micro-miniature cows are all less than 36 inches in height at the hip. So generally, miniature cattle range anywhere from 1/2 to 1/3 the size of normal cattle. In peak production, a normal-sized cow can offer 6 to 10 gallons of milk per day. That may give you more problems for storage, and you may not really know what you should do with all that milk. On the other hand, a miniature cow can give you about 1 to 1.5 gallons per milking. That should be enough to give you a few glasses of milk to drink, some butter and cheese per week, and even a little milk leftover for some neighbors. Typically, you’ll only need a third of the standard amount of feed for each one. You’ll haul less hay during the fall. During the deep winter freeze, you’ll have to carry fewer buckets of water for your thirsty cows. Your best option is to divide the pasture to smaller sections, and then you can rotate the grazing pattern. You can even tie your small-breed cattle to a tire to let the animal graze in a specific area. Then you can just put the tire in another area afterwards. In many cases, you can simply use a single hot wire. If you butcher an entire miniature cow, you get just the right amount of meat for a small family. A single tiny cow can feed a family of 4 people for months. These miniature breeds convert expensive organic feed into choice cuts more efficiently than their standard-sized counterparts. This is why demand for their meat is growing, with lots of upscale restaurants and gourmet markets looking to buy the lean and luscious meat from grass-fed mini roasts and steaks. 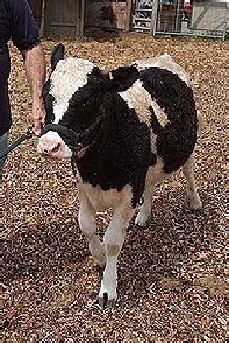 Many owners like to show their miniature cattle. This is also a great way for children to become involved in the 4-H Club and in a state or county fair. 1.) Use a brush for a simple way to clean their coats and untangle their hair. 2.) Lead your miniature cow with an easy-to-fit cow halter. 3.) Show your miniature cow with a show stick. There is the condition that some call the “bulldog” gene, technically called chondrodysplasia. This results in a physical deformity that often leads to the death of the cow, but this is extremely rare. Also, you can do a blood test to check for this gene when you’re buying your miniature cow. Their hay-feeding equipment and water tanks will just have to be a bit shorter than with full-size cows. Owning one can be like having a gentle and huge dog except she gives you milk. Animal therapy workers and petting zoo managers love miniature cows. Caring for and tending to backyard animals, including mini cows, can be a great way to involve children. There are many different types of responsibilities they can handle, depending on their age and maturity. Miniature cattle, like raising backyard chickens, will become invaluable should you ever be facing a food crisis. There are many books which explain miniature cattle. Owning a reference book or two will help you as you prepare for raising these particular cows as well as help you when issues arise. The Belties, as the Miniature Belted Galloways are often called, are a very hardy breed. They originated from the southwestern part of Scotland. They have a double coat, with the coarse outer coat designed to repel water. Their under coat is not so much hair as wool, and it’s to insulate the cow against the cold. Belted Galloways tend to have a solid color but with a white belt around their midriff. At maturity, their height at the most reaches 42 inches at the hip bone. This means they are by nature hornless, and that offers several key advantages. The problem with horned cattle is that you’ll have to expend some effort (or pay for the labor) for de-horning or tipping the horns.If you don’t, then they’ll pose a danger to you and to their handlers. Various tests over a 10-year period show that this breed use up the least amount of feed for every kilogram of weight gain they achieve. These are the high feed conversion rates that make these Belties profitable every year. One of the most crucial breed traits of all Galloways is that their beef quality is always excellent. It’s lean, and yet it’s also well-marbled. Due to the efficient protection offered by their double coat, their carcasses don’t have that additional layer of fat in the back that’s quite common to other breeds. You’ll find that they dress out at about 60 to 62 percent of their live weight. Scientists at Montana State University found that when beef cows have hair coat that is just an inch thicker than average, they will require 20% to 25% less digestible feed intake to maintain their body weight in the cold weather. With the good double hair coat, they need less feed than usual to maintain their body condition. Even in very cold weather, the rain hardly penetrates their coat. These Belties can thrive all year long, and they only need minimal shelter from the summer heat to the winter cold. They also exhibit terrific foraging ability, and they’re not picky at all. In fact, a Danish study found that compared to all the other breeds in the study the Galloway consumer many more different types of flora. Since they can digest even less digestible types of flora, they can flourish even though the conditions are less than ideal. They’re also known for their longevity and hardiness, as they are resistant to disease. They also have high fertility rates, and calving is easy for them. They also exhibit great mothering abilities for their calves. These Galloways don’t really need all that much. hat goes for some available mineral or salt block too. For extreme weather, it may be nice if they have some shelter or shade to keep themselves more comfortable. They will also need regular parasite control and vaccinations, for potential problems such as leptospirosis. Over the last decade or so, the numbers of Miniature Belted Galloways have risen significantly, and so has the demand for them for small farms. They do really well on small family farms. Like so many miniature cattle breeds, they are completely adorable too. Modern Dexter miniature cows trace their ancestry to a 1750 herd of sturdy Irish mountain cattle that was assembled by an agent of Lord Hawarden. His name was Mr. Dexter. The cows in turn were descended from the small cattle of the Celts of ancient Ireland. 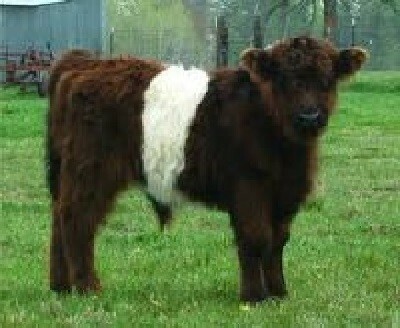 They were already called Dexter mini cows by 1845, and by then they looked pretty much like the Dexter cows of today. A Dexter registry was established in Ireland in 1887, and in 1911 an American registry was established as well. But the Dexters in North America were rare. Today they’re still classified as “rare” in the American Livestock Breed Conservancy’s Conservation Priority List. By raising Dexter cows, you can help preserve an endangered heritage livestock breed. They can live for quite a while, with an average lifespan of about 17 to 18 years. Dexters will act as surrogate mothers, and they can look after 4 or more calves at the same time. They’re well-known for easy calving. But they often calve until they’re very old, and some have calved at 20 years old. They can rear about 10 calves during their lifetime. That’s still significantly smaller than your normal-sized cattle. They are mostly black, although there are times when you may find one with a dun or dark red color. The horns of the bulls tend to extend directly to each side. They then curve forward and upward, and there’s some space between the 2 horns. Generally, the horns are white in color, but the tips are black. They’re very good at foraging for their own food. In fact, they’re well-suited for areas with drought problems. When grass is scarce, they can make do with hay. Some owners tend to give them a bit of grain or a few concentrate pellets during milking time, as a sort of incentive. Dexter cows also need a lot of water so they can maintain their milk production. The water should be clean at all times. If you’re keeping them as milking cows, they’ll just produce less milk when they get less food. They’re at just ⅔ the size of a standard breed, and their need for food is proportionally less. You can get them for their milk or for their meat. This particular breed is justifiably renowned for their milk production. Though they’re smaller, they can outstrip the milk output of their bigger counterparts. Their average yield is about 10 liters a day, but they can produce as much as 20 liters of milk daily. The milk is ideal for making cheese, with an average butterfat level of about 4 to 5 percent, with cream yields of a liter for every 5 liters. These are very hardy animals, and you can keep and milk them outside if you need to. But they do require shelter from extreme weather such as an open shed or a cowshed. You should reserve your best pasture for your proven milk producers. You can plant good herbal ley as pasture grass which can be good for worm control. When you have rich pasture, you’ll have to reduce their grazing time so they don’t get more weight than they ought to. When they get too big, they can produce less milk, and their size can lead to calving problems. A standard rule of thumb is to limit their grazing on rich pasture to just 6 hours a day. After that, you should lead them to their corral and feed them hay. One minor problem for milking is that their teats can be small, so milking them by hand may pose a challenge. You may want to invest in an electric milking machine especially when you have several Dexter cows to milk. You can also raise Dexter cattle for their meat. A 3-year old steer can reach up to 460 kilos. Because of their excellent foraging ability, their high feed conversion, and excellent meat-to-bone ratio, Dexter steer can reach 180 kilos in 14 months. When you feed them grass, the meat is delicious: tender, lean, and fine-textured. With grain feeding, which is not typically recommended because it is unnatural for them, the meat in the prime cuts are finely marbled, and it has a lighter color. These really make for good small farm cattle, as they can be converted into good beef or you can continue to enjoy their healthy milk. And they can also make great pets, although you’ll need to be concerned with the horns, especially around children. In general, miniature cattle breeds have been bred by man by choosing the smallest cows from a larger breed. 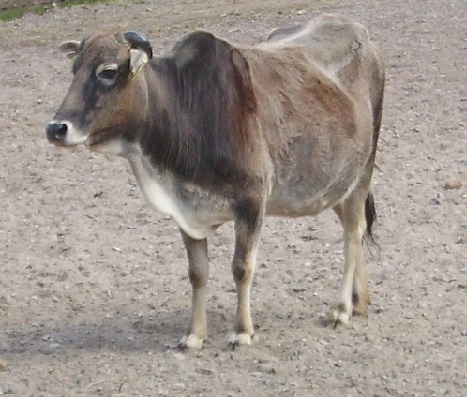 But the Miniature Zebu is a true breed of miniature cattle, which means they’ve developed into a unique species all on their own. They are among the oldest breed of cattle, and may trace back to as far as 6,000 BC. Some document records place them in Sri Lanka and southern India by 3,000 BC. The first zebu was imported into the US during the 1920s. They were considered novelties in zoological gardens. They’re becoming a bit more popular as more people learn about them, but they’re still quite rare in North America. People in the United States call them Brahman cattle as well. Zebus are popular because they look so cute that they’re almost like fawns. People recognize them for their characteristically well-developed humps, which are very prominent on mature bulls. They may have horns which can be in any shape and size. Because of their appealing look and friendly disposition, Zebu cows aren’t normally bred for meat production. They’re mostly for shows, junior rodeo events, and zoological gardens. Others use them for their breeding farms. You can raise them as pets, and you can even use them for milk. A typical zebu cow can produce a gallon of milk a day, and it is very rich in butterfat. They have sleek coats that are short and dense. Their colors range from black, spotted, or red, to steel gray or nearly pure white. 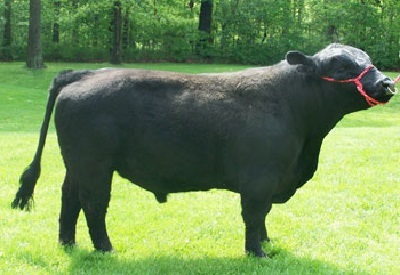 In mature bulls, it’s common to see nearly all black in the neck, shoulders, and hump areas. Zebus are measured at the withers, which is directly behind the hump. Zebus don’t go past 42 inches in height; most are about 36 to 38 inches tall. However, some adults may only reach up to 26 inches. They can range in weight from 200 to 500 pounds. Miniature Zebu cows carry their babies for 9 months like human mothers. They calve easily and produce good milk. They’re very protective of their babies, especially in the first few weeks. The baby Zebus really look like fawns, and many human owners (and their children) find them adorable. They’re about 16 to 18 inches tall and weigh about 18 to 22 pounds. After just a few moments after their birth, they’re able to stand and walk around. They can be as tame and as friendly as a family dog, especially if they’re bottle-raised. You can easily halter-train small Zebus, and you can have your children walk them on a leash. The breed is so docile and small that they’re considered safe for children and for the elderly. Feeding them isn’t hard, although the food will depend greatly on your geographic location and the season. They’ll accept hay during the winter months, and for the rest of the year they can live on good quality grass. For grain, you can use cattle feed or a general purpose sweet feed. To keep your zebu healthy, you’ll also need fresh water and salt blocks. They do very well in warm weather, which is why many of the Zebus in the US are in Florida. But they can also survive farther up north as long as you provide them adequate shelter during the colder months. With proper care, they can live for as long as 20 to 25 years. Their origins have made them immune to most tropical diseases. The price of a registered miniature bull calf in Florida may range from $500 to $2,000. A heifer calf can cost from $1,500 to 3,000. Full grown bulls and cows that have proven productive will cost more. They can be very expensive if they have unusual characteristics, such as if they come from high quality bloodlines or if they’re very small. Jersey is a British island found in the English Channel, just off the French coast. Because it’s an island, the cattle there were able to develop in relative isolation from other cattle breeds. It’s one of the oldest dairy breeds, with pure bloodlines tracing back to almost 600 years. These miniature cattle are famous for their high quality milk production, along with its generally friendly personality and lower maintenance cost due to its miniature status. While the standard Jerseys today are bigger due to breeding programs, the miniture Jerseys at 3 years of age don’t go over 700 pounds on average and they don’t exceed a height of 42 inches at the hip. Many are within the 36 to 40-inch range. These are actually the original traits of the breed, and the standard Jerseys were bred to be larger to boost milk production. Today, the mini Jersey is a rare breed. They can be very adorable, and that’s undeniable. The color of their coat ranges from fawn to dark fawn, with some sporting splashes of white. The cows tend to weigh about 600 to 650 pounds, while the bulls weigh in at about 800 pounds. Because of their small stature, they don’t require as much acreage and barn space. They also require less feed, as they only eat half as much as their bigger counterparts. Their milk is very delicious and quite nutritious too. They contain high butterfat and protein amounts. They can produce about 2 to 4 gallons of milk a day. If you’re getting a miniature cow, the point is to provide milk and that means you really have to check the udder. It needs to be attached well, and the teats should be large enough that you can milk them easily. They should also sport a straight spine, and stand firmly with legs long enough to support their body length and size. While modern Jersey bulls are notoriously aggressive, that’s not usually the case with mini Jersey bulls. This is especially true with bulls that have been bottle-fed from birth. While they can be playful as calves, they can also be very gentle and sweet even when compared to their female calves. They’re quieter and they don’t spook as easily. But when they mature, it’s still a good idea to just handle him as you need to, but you can just leave him alone. You can start handling him less when he reaches puberty, which for mini Jersey bulls is at 6 to 7 months. The calves also don’t like the cold very much, especially when the temperature drops below 50. So you should keep them warm with calf coats or even with heat lamps. Keeping them warm in the winter months is crucial if you want to minimize the risk of stress-related diseases. Just remember, with mini Jerseys you get the best milk for your family, and a cute and gentle pet besides. Now if you’re into truly rare miniature cows with a beauty that can’t be matched, you really ought to take a look at the Miniature Panda. 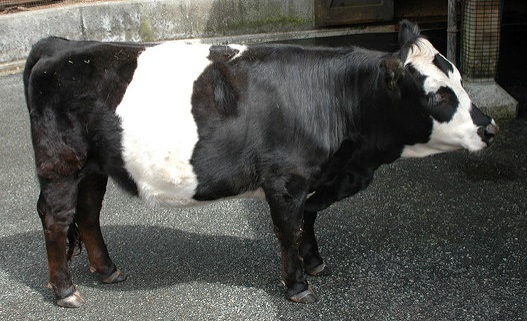 The first of its kind is the progeny of a miniature bull that is 75% Irish Dexter and 25% Belted Galloway bred to an exotic cow (“Happy Mountain” Cattle). The result was a small heifer measuring just 14 inches tall at birth. She has a white belt around her middle, along with the face of a panda, all white with black circles around the eyes. There are only a few dozen of these miniature Panda cattle in the world, and they’re all celebrities in one way or another. There is a pair of them featured at the Woodland Park Zoo in Seattle, Washington. Sometimes the celebrity status can even get in the head of the Panda cattle. According to one Washington owner, his Panda bull calf is never far from his mother, but he “struts” around the farm and other caves follow him around. If you want a celebrity animal for your zoological garden or farm, you can’t go wrong with a miniature Panda cow. They’re just that cute, lovable, and popular. But you will have to spend lots of money to get one, or devise a breeding program yourself. The cost of buying one may reach up to $30,000, but you’re getting instant fame and status. The standard Hereford cattle breed began in Herefordshire, England, about 250 years ago. The breeding program for the miniature Hereford started in the late 1960s, but it was only in 1989 when breeding stock became available for sale. They’re widely considered beef animals, although there are many other reasons why you may want to buy one. You can buy them as a pet for your young children, or enter them in shows. Some buy them because of the agricultural tax breaks they get to enjoy. You can even just buy them as special tools to mow and fertilize your huge backyard. These make for wonderful pets. They’re generally docile and have sweet-temperaments, especially when they’re already halter-trained. Even the bulls are comparatively gentle compared to the bulls of other miniature breeds. And the calves only weigh in at 30 to 60 pounds, so that even 5 or 6-year old kids can show them around. They’re also very easy to care for, and they won’t cost you as much for upkeep. They’re very hardy and they adapt well to all environments, so you cut back on veterinary bills. They don’t need special food treats, they require less pasture space, they’re easier on your pasture and fence, and they produce less manure to haul away. Mini Herefords are excellent food converters. This means they don’t have to eat as much to produce weight gain for meat. And their meat is more tender because of their shorter muscle length. Standard cows need to develop muscle to carry 2,000 pounds in weight. But the mini Herefords only weigh from 700 to 1,000 pounds, so they require less muscle. They also offer a larger ribeye area of about 1.5 square inches for every 100 pounds of body weight. The breed is very fertile and can breed back rather quickly. The heifers can breed at about 2 to 3 years. The bulls can even start at an earlier age, as they can breed when they’re a year and a half years old. After giving birth the mother is very nurturing, and she can also provide lots of milk for her calf. You should find a reputable breeder if you’re considering buying a miniature Hereford. It’s easy to make mistakes, such as paying show-quality prices for a cow when you just want a pet. Others may pay top fees for a very small animal only to find out that she’s not small-framed genetically. Just make sure you get the most suitable animal for your needs. If you want them for the beef, then they’re able to provide better beef than just about any beef you can get in the supermarket. If you want a pet, make sure that it’s docile and that you train it with a harness. And if you want them for your own breeding program, you will need to research the pedigrees. Now that you are learning so much about miniature cattle, be sure to learn about how a livestock guardian dog can help. The Lowline Angus descended from the Angus cattle breed that was formed several hundred years ago from the black hornless cattle in the Angus and Aberdeen counties in Scotland. These spread worldwide during the 1800s, and soon thereafter, Black Angus started to dominate the US beef industry. The Lowline Angus was actually created by accident. They were the result of an Australian study which tried to determine if large or small animals were more efficient at converting grass into meat. In this 1974 study, they used 85 Angus cows and divided them into 3 herds. The High Line herd was defined by high yearling growth rates, and the Low Line herd had low yearling growth rates. The third herd was the control with randomly selected animals. Researchers found out at the end that the High and Low Line herds demonstrated about the same level of efficiency in converting grass to protein. They were supposed to slaughter the Low Line herd, but it soon became evident that these smaller animals had far greater value than what was first thought. After 15 years of selective breeding the Lowline Angus cattle breed was born. They stabilized at about 30% smaller than their Highline counterparts, and that makes them one of the smallest beef cattle breeds in the world. These animals were extremely docile. They adapted to Australian conditions. The researchers conducted a disposal sale in 1993, and introduced to the US in 1997. On average, a purebred Lowline Angus calf weighs 42 pounds. A mature cow is 39 inches tall and weighs 800 pounds. A mature bull reaches a height of 43 inches and 1200 pounds. They’re ideal for intensive grazing conditions, and their feed requirements are considerably less than what their bigger counterparts need. They only need about a third of the stand cattle’s nutritional requirements. You can raise about 54 breeding cows per 100 acres, compared to 33 for Angus and 38 for Wagyu. Yet you can get an average of 154.3 retail pounds of product from your Lowline Angus. That’s a lot compared to the 110 pounds per acre for the Angus and 83.1 pounds for the Wagyu. Lowlines offer superior carcass traits, with 30% larger rib eye area per hundredweight and excellent marbling. The cows calve with excellent ease, with a short gestation period of 271 days and afterwards they exhibit great mothering ability. They’re also naturally polled, so that means they’re naturally hornless and that’s a very advantageous trait. They can live for as long as 12 to 25 years, as they’re easy to keep, and terrific foragers. Lowline Angus can adapt to a wide variety of climates, from the hot and humid Deep South to the cold of Canada. They do not test for the Anchondroplasia gene and the dwarfism gene. Lowlines look great with their nice proportions, and they’re very easy to handle. What the Lowline Angus represents is a chance for you to get a taste of delicious beef even if you do own a very small farm. And if you want to make a business of it, it’s a great investment because they’re still rare and the demand for their beef is very high. If you’re in the US, you probably heard of the Texas Longhorn football team. But you won’t ever forget the first time you see a Texas Longhorn in person, as their horns can grow as long as 7 feet from tip to tip. They’re among the first cattle the Europeans brought to North America. They’re a mix of breed from India and Iberia. Yet despite their horns, the Texas longhorn is actually very gentle and even quite intelligent for their species. And if you want the smaller and cuter version, you can go for the miniature Texas longhorns instead. They began from a 1990 breeding program that downsized purebred, registered Texas Longhorns. The process simply bred then smallest Texas Longhorns they had until the resulted in this miniature version. Like their bigger counterparts, they have the horns, the general build, and the mild, tractable personality without any nervousness or aggressiveness. Technically, their horns must measure from tip to tip at least 50% their hip height, although it would of course be better if they horn measurement can actually reach the length of the height at the hip. Miniature Texas Longhorn cows should be no more than 45 inches at the hip bone for you to classify them as “miniature,” although some purists insist that they should not exceed 42 inches in height. For bulls, the maximum is 48 inches. They live for about 10 years and they can weigh from 350 to 800 pounds. They’re diurnal active during the daytime), and they just need hay and grass. You don’t buy these animals for their meat, even though people recognize the standard Texas longhorn lean beef for its low fat, cholesterol, and calories. These minis are companion animals. They are excellent show animals and pets. They’re so small you don’t needs as much acreage, and because of their gentle temperament you don’t have to worry about them hurting your children. If all you know of the Scottish Highlands is what you got from watching Braveheart, then you should at least know that the Scots are tough because they had to be. That’s especially true in the Highlands, where it’s so rugged that only the tough survive. And that also true of their cattle. The Highland breed has thrived ever since the 6th century AD, and they share the same traits with the miniature Scottish Highland breed. The smaller miniatures don’t go past 42 inches in height, and a few can only reach up to 27 inches even after 3 years. That makes them one of the cutest farm animals to have around, especially when combined with their characteristic long hair on top of their heads. People admire the Highland breed for their distinctive looks, and when that look is in a miniature version the cuteness score is off the charts. It’s why calves go for about $6,500 even, registered or not. But they’re not purely just for decoration, and there are advantages to raising them in your small farm. They exhibit all the major traits of their bigger counterparts. The difference is they require less food and acreage, making them better suited for smaller farms. You can raise them in any state in America and they’ll thrive, although for best results you should get your miniature Highland from a farm with a climate that’s similar to your own. This coat means that you won’t have any need for special and expensive shelters and barns. This coat also means that they don’t need a heavy layer of fat to insulate themselves against the cold. They marble naturally on lower food amounts and produce high quality, lean, and low fat cuts of beef. The hair sheds out in the spring, and in the warmer climate they just don’t produce as much hair. The early Scots would even keep them in their homes during the winter, with a woven wattle fence to keep the cattle and human areas separate inside. They’re docile, calm. They do not spook easily. Despite their long horns, they’re very easy to work with. They can produce well into their late teens, so you don’t need to replace the herd frequently. Once they give birth, they protect and devoted themselves to their young. You can use them to clear brush lots and improve the grazing. A study found that their beef is 24% more tender than commercial beef. It also contains 4% less cholesterol, 17% more iron, and 7% more protein. 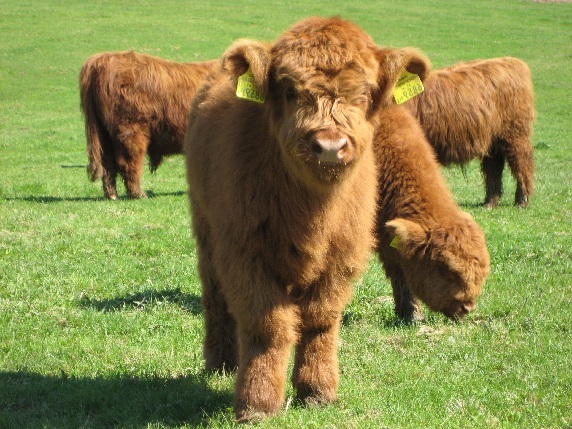 So if you’re into hobby farming or if you want a pet cow, the miniature Scottish Highland is a great choice. They’re good-looking and unique, they’re very docile, and they can thrive beautifully in even harsh conditions. There’s a reason why Holstein Cows dominate the US milk production industry. Also, they can produce large amounts of milk. In fact, Holsteins have held the world record for milk production for many years now. One record holder in 2010 from Wisconsin produced 72,170 pounds of milk in a year. That’s more than 8,660 gallons for the year. Typically, they can give you as much as 9 gallons of milk per day. And perhaps that may be too large an amount for you to handle. So you may want to get a miniature Holstein instead. This smaller version offers the same benefits as its bigger counterparts, except that they don’t produce as much milk. They can give you about 2 to 3 gallons of milk a day. Standard lactation lasts about 305 days a year. You can milk some 3 times a day, every day of the year. The smaller Holstein also offers clear advantages over the standard-sized Holsteins. They only measure in at 42 inches in height, unlike full-sized Holsteins that come in at 58 inches tall at the shoulder. They eat less so they produce less manure, and they’re very easy to handle. Since they’re small and very friendly, you can teach children all about taking care of a cow with your miniature Holstein. They can learn to milk the cow and help feed it. And you won’t have to worry about their disposition as they’re very gentle and easy to handle. Regardless of the breed you choose for your small farm, the advantages of the miniature cattle breeds cannot be denied. They’re easier to handle than full-size cows. They are safer for families with children. Your fencing costs are much more minimal. They do less damage to your pasture. You also save money on feed, since they don’t eat as much. They can provide some supplemental income, as well as meat or milk at more reasonable amounts that you can handle more easily. Raising miniature cows make excellent 4-H projects for your kids. 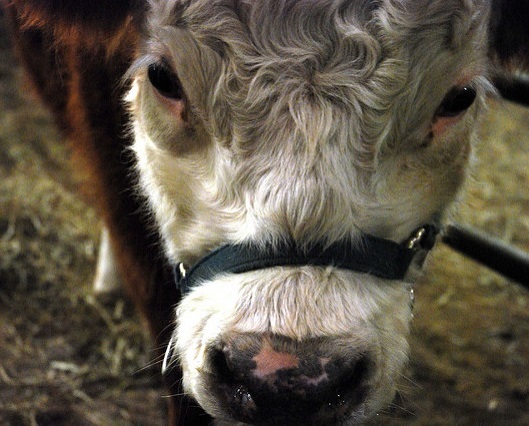 Also, miniature cattle are just plain adorable! A lot depends on where you buy your cows, so you really need to get them from reputable farms and ranches. Inbreeding is always an issue, since these animals are relatively rare. Consider getting miniature cattle for your small farm or ranch, no matter what the size. You can discover for yourself just how much joy and pleasure they can bring to your family. When you are ready, you can consider at livestock guardian animal to protect your miniature cows as well. When you carefully consider your area to know which breed to choose, you can easily learn the basics of caring for livestock, including miniature cattle breeds. Hi there, You’ve done an excellent job. Keep posting such kind of information on your page. I’m really impressed by it. I’ll definitely recommend to my friends. I’m sure they will be benefited from this site. Write more, that’s all I have to say. Literally, it seems as though you relied on the video to make your point. You clearly know what you’re talking about, why throw away your intelligence on just posting videos to your blog when you could be giving us something informative to read? Really enjoyed reading. Very informative. We have a small farm (17 acres) thinking about mini Scottish Highland. Still doing more research. Thanks for the information on the various breeds, such as how miniature Herefords are docile and have a sweet-temperament, making them a good option for pets. When choosing one, it would probably be a good idea to figure out why you want them, such as for a pet. If you know your breed, you could then go online to find a breeder that sells the type of miniature cattle you want so that they have the temperament and other benefits you’re looking for.